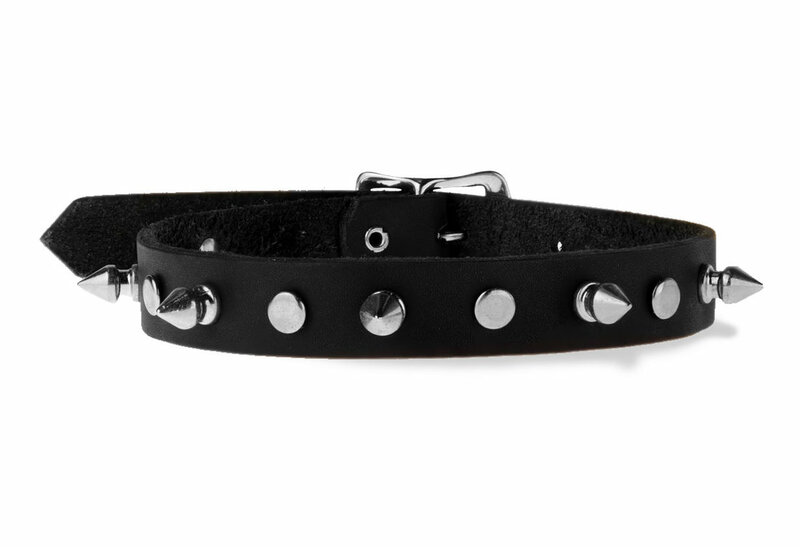 High quality leather choker .75 inches wide with alternating chrome spikes and rivets. 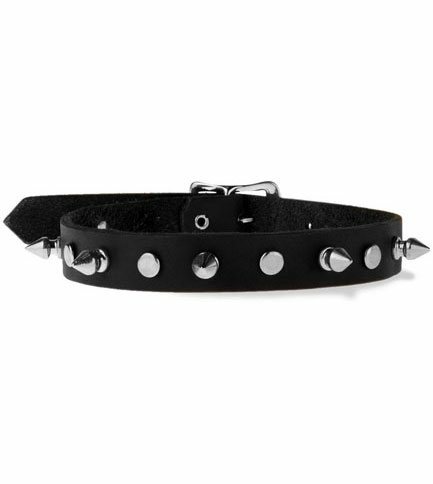 Fastens with a buckle in the back, and adjusts by 6 inches at 1 inch increments. Made in the USA.